Michel Kilo è un intellettuale siriano, cristiano di nascita ma noto per le sue posizioni aconfessionali. È uno dei decani dei dissidenti politici, arrestato per la prima volta nei primi anni Ottanta per la sua attività di oppositore. In questo suo articolo che proponiamo di seguito, apparso originariamente sul quotidiano Al Sharq al Awsat, e tradotto in inglese dal gruppo dei Traduttori siriani liberi (al Mutarjimūn al suriyyūn al ahrār), critica il modo in cui alcuni mezzi di informazione stranieri parlano della Siria e analizza gli errori e gli stereotipi che viziano le loro analisi della situazione nel suo Paese. (Michel Kilo, Al Sharq al Awsat). Whenever I read an article concerning Syria in a foreign newspaper, a pressing question poses itself on me: What does the author know about my country and its problems?! Has he presented a picture of its reality useful to the readers of his article or research that leads them to understand the truth as a whole or even partially? 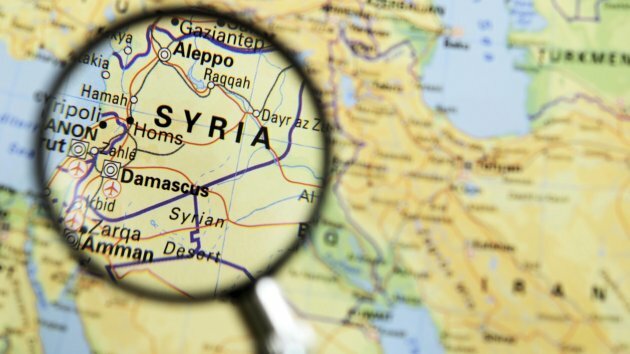 Generally, the prevalent Western mindset paints an image of Syria in the media as being a set of rival sects and minorities competing against one another and living in a state of explosive tension kept in check only by the powerful central authority, that preserves inter-communal peace and works towards creating an integrated community, which is a great progress from the current situation; one of a community fractured, disjointed and capable of fragmenting at any given moment, should the authority become absent or weakened. (2) The presence of a strong-handed central state that forces this diaspora of groups and discordant interests to co-exist, or at least to fake acceptance of the other, a state which develops this society in a balanced manner allowing it to establish a general uniform ground on which the society exists, controlling its movement and adjusting its whims and desires. Or, on the other hand, the establishment of a non-centralized government and making it possible for its components, as in the minorities, to interact with one another on the basis of a common ground, however partial, where their intersection and integration leads to its eventual convergence and arrival at a form of cohesiveness, slowly aiding in their transition to monolithic, harmonious units, although not yet representing a united and harmonious society. In the presence of the first state, there must be a strong-handed and strict central authority associated not only with the survival of the coexistence of the minorities, but also the whole process of evolving towards harmony and, consequently, overlapping societal borders. In the second case, it is the minorities themselves, not the state authority, that lead towards convergence and harmony, where there is no need for the state authority to be strong or centralized, instead relying on the relationships between different groups to act as a solid foundation for fostering united interests and ties between those groups. Returning to what the press writes regarding our Syrian society. There seems to be a strong admiration for the strong-handed state, which we call ‘authoritarian’, which is considered the guarantor of the unity and progress of our society, and therefore the bearer of modernity, civil peace and modern values, including secularism. But today there are international calls to replace it with the second model, after its failure and what looks like its imminent demise. These calls manifest themselves in the Western pursuit of establishing a federation of minority states in Syria to replace the centralized state style that includes a democratic and participatory model, which certain Western countries do not want to see established in Syria. This is despite these countries recognizing the impossibility of finding a real solution to the issue of minorities other than democracy; as a system built on the best possible form of governance and the greatest possible presence of [civil] society, of a state that acts as an incubator of a community that participates in deciding its affairs and controlling its policies. Is it true that the Syrian society is not a united one, consisting instead of a group of minorities coexisting in an atmosphere of tension capable of exploding at any time, and that what is happening today is the natural and inevitable result of this reality? Is it true that one cannot read the events outside this box, because it is its direct cause? Finally, is it correct to say or believe that there is no national Syrian identity that penetrates through all the components of its people, societal and political, rendering it susceptible to breaking up and disintegrating were it not for the hand of tyranny which preserved its unity by force? Must the current revolution, therefore, allow for the disposal of this unity and its re-establishment under the only true, current reality: that Syria is a country of minorities who refuse to live, after today and with the absence of strong authority, but in the context of a loose confederation? I do not think we can answer yes to any of these questions. Syria is not a convergence of sects. And its minorities are not in a conflict with its majority or against one another. And its current crisis is not the offspring of repelling and wrestling societal components that have decided not to live under the framework of a national unity. And its problem with tyranny will not be solved by dismantling its state and instead building a system that stems from minorities and considers itself a dynamic, innovative power from a modernist model, in the least due to the fact that the minorities completely lack this ability, and have not previously exercised independent roles, as they had previously refused to exercise such roles during the French Mandate era, and refused to create a federal state or confederation built on the alliance between them. Decentralization is not incompatible with a democratic system founded on a state built on sharing, which overcomes the issue of minorities with citizenship and the equality it establishes for all its citizens regardless of their race, color or creed. The minority state will not be a democratic one because it will not be a state of citizenship, equality and justice in any national encompassing sense, and will not survive the discrimination between the followers of the minorities, which fundamentally undermines democracy. As for what is provided by columnists of the press: it is often nothing more than Orientalist nonsense and stereotypes of our societies. They delude themselves thinking that their columns hold the keys and secrets of our existence and provides scientific gateways for the understanding our reality, in spite of being nothing more than prejudgment articles, both naïve and simplistic, suitable for providing samples of the ignorance of its writers in light of what they have written, and is not fit in any way to explain or to approach what is experienced by our society. No wonder whenever I read an article about Syria, including those written by reporters on the ground, I find myself wondering: Is this really Syria?! Why has the author placed his life at risk to go to our country, if he can write his article from a street cafe or restaurant in his own country?! Michel Kilo, "La chiesa siriana torni al popolo"